I am currently going through that dreaded life experience known as ‘Starting Over’. Whether its’ because of a someone or a something most people know what it feels like to have to pick yourself up and begin another chapter of life. It can be intimidating and panicky and generally unfun. There are times when you choose to start that new chapter but other times when it is started for you. In the anime Yona and the Dawn, a young princess named Yona is forced to pick herself up after everything she knows is suddenly taken away from her. With her friend and loyal bodyguard Hak by her side she embarks on a journey into an unknown future leaving everything she has ever known behind. The anime is a an easy-to-watch adventure and Yona’s path takes a few turns very far from where she started. She discovers that losing everything may end up actually bringing her more than she ever expected. Yona is an exuberant, clumsy girl at the start of the series whose biggest stressor is her uncooperative crimson hair. She lives in the kingdom of Kouka as the King’s only daughter. She is in love with an older boy, Soo-Won, and her main focus in life is to make him happy despite her father’s’ reservations. He has his own ideas for who she should marry and it is definitely not Soo-Won. One night the Kingdom is betrayed and both Yona and Hak have to flee the castle for fear of their lives. After that, everything Yona knows is gone. Once she is forced out of her kingdom she grieves heavily but also slowly realizes she is now the only one making her new path. This leads her to choices she knows her father would not, or do things she herself may have never considered she could. While they are traveling Yona asks Hak to teach her to fight with a sword, which he refuses. Yona’s father did not want her to fight and insisted she stay to the side during sparring. Yona’s quest for independence and desire to move on from what has happened means she wants to be able to defend herself. Yona knows she will have to change if she wants to survive regardless of whether or not other people are ready for her to change. She is underestimated many times throughout her adventure but that does not waiver her resolve. Her persistence wins out and she works hard to train as a real fighter. In her starting over Yona reminds me that changing is not always a bad thing. There are times when you will have to adjust to new circumstances and you may not recognize the things you will have to do–or the things you will want to do. Despite any fears or uncertainties her determination to become a skilled warrior, able to fight for herself and those she loves, guides her through. Yona’s clearly been watching Mulan. Yona starts her life over with a much different goal than the one she develops by the end of the first season. Her motivation for change is initially just to be able to survive all that happened to her but by the end she is fiercely defending herself and others and wants to make her mission protecting those who cannot fight for themselves. She becomes dedicated to ending the suffering in her Kingdom and begins to carve an entirely new path for herself that is completely separate from her past. 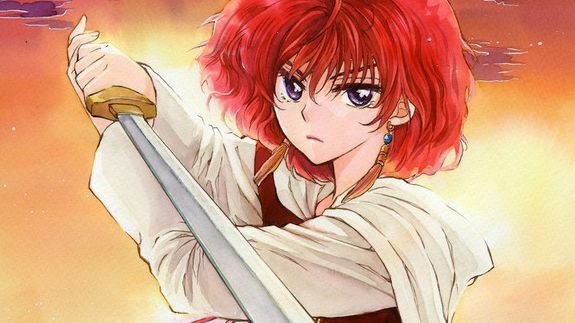 Yona probably never expected she would pick up a sword or become who she does. But she is no longer afraid of the changing of her life and has found the power in making her own way. Sometimes, even in the blink of an eye, everything around you can change. It can be hard not to feel stuck in place when those changes are momentous or not in your control. But you can control the journey you have now. I was having a hard time seeing that I too can pick up my sword and start that new adventure on my own. Yona of the Dawn did a surprisingly good job of pulling me out of some of the sadness about doors that are closing in my life and instilled in me new fire for the possibility of new doors that could be opening. You can check out Yona of the Dawn streaming on Funimation’s official site, Crunchyroll, or Hulu. There is currently only one season of the anime but with the manga still going strong, fans are hopeful that we will get to see more of Yona’s epic renaissance on screen. 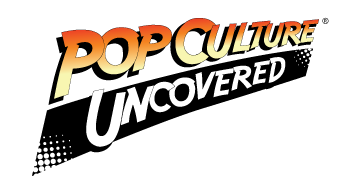 Some of the plotlines can get a little predictable as is the nature of anime but there are many events that will take you totally by surprise. If you enjoy great character growth, sword-fighting and a little big of magic, you’ll enjoy taking this journey with Yona as much as I did. Four princess swords out of Five. Although I like Yona of the Dawn, fillers are starting come in….also, I’m not too sure about where her relationship with Hak is going….. so far, I don’t like where it’s going. Yeah, and there were some parts of the anime that were just super obvious and you could see what was coming with Hak a mile away. The whole ‘we bicker back and forth like rivals but secretly love each other’ thing can get mega played out. I might pick up the manga so that I can keep going because I liked where Yona’s individual story was headed, but I’m at least glad the mush between them didn’t get *too* over the top in the first part of the series. Does it get worse as it goes on? Does it get worse as it goes on ? Excepting Yona’s character development, which is good, there are just too much chapter scenes focusing on other characters that, I’m sure, others don’t care about. Maybe it’s just me. I don’t want the author to lose focus on more important matters. I don’t want to say more because spoilers. But to me, it’s bad enough that I dropped this anime. I totally get what you mean (without spoilers lol), there are episodes that I easily could have skipped and not missed any of Yona’s story or felt like I was losing anything at all. I totally agree and see how that would lose your interest! I am sure I’ll pick it up again . Yona’s story has so much potential.